It’s the last day of Monkey Week and we’ve had a blast meeting all these great primates! 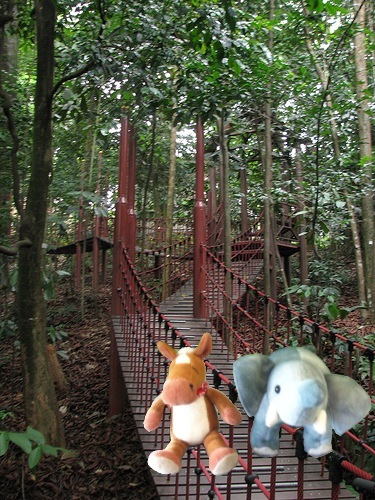 We’re going back the rainforests of South America to meet today’s monkey! There is a good chance we’ll hear them before we see them! 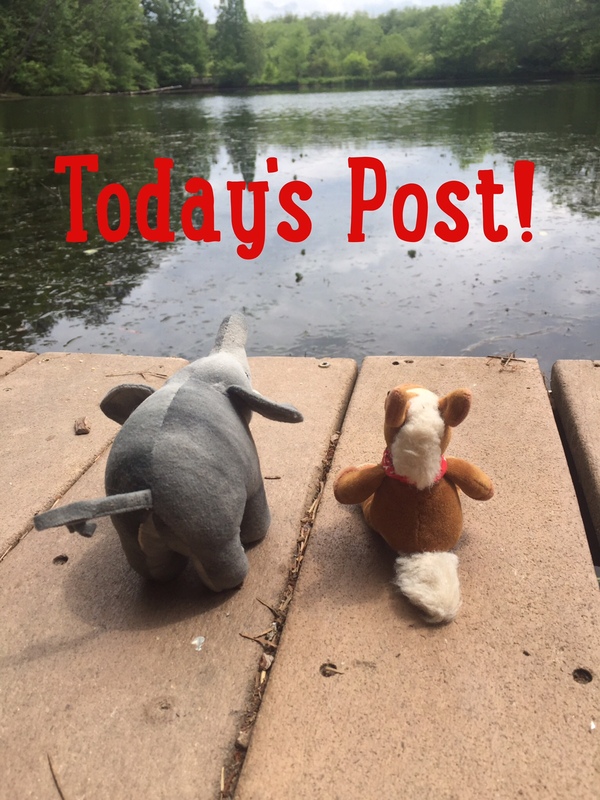 Let’s head out on today’s adventure! 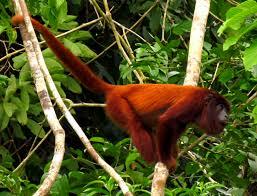 MEET THE RED HOWLER MONKEY! Red Howler monkeys are the largest of the howler monkey species. 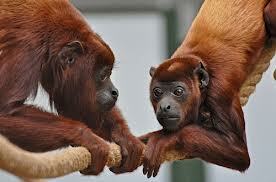 Red howler monkeys use howls, whoops and calls to communicate with each other. Those calls can be heard up to 1 ¼ miles away. 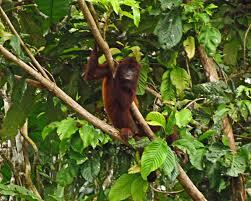 Red howler monkeys live in troops of one male with 3-4 females. Red howler monkeys have a prehensile tail that they use to hang from branches. Red howler monkeys are amazing! We wished we had prehensile tails. Did you know that only new world monkeys have prehensile tails?